Hearing loss is caused by long-term or sudden noise exposure or damage to the auditory nerve or auditory hair cells, which results in the impaired ability to hear and understand speech. But hearing loss affects more than just your hearing; it affects your entire well-being. Hearing loss also distances you from your loved ones, making it difficult to maintain close relationships. The condition can get in the way of your career as well. You may appear incompetent to your peers when the reality is that you’re having difficulty hearing, not understanding. 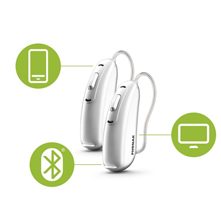 A hearing aid is an electronic device to help those experiencing hearing loss. 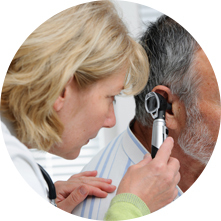 There are many styles of hearing aid that can be worn, and technology, based on the various needs of wearers. What is the difference between and audiologist and ENT’s and Hearing Aid Dispensers? Ear, Nose and Throat doctors can treat hearing conditions, but their focus is divided between the other areas they cover. Hearing aid dispensers can prescribe and fit hearing aids, but their knowledge of audiology is limited to that technology. 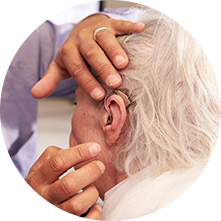 Audiologists are focused completely on hearing, have more training and knowledge of the hearing process than dispensers, and are uniquely qualified to offer comprehensive treatment for hearing loss. If you have hearing loss in both ears, then it will be recommended that you have hearing aids in both ears for better auditory perception. What will happen at my fitting? After determining the level of hearing loss, and determining the lifestyle, we will help fit you for the hearing device that best meets your needs. 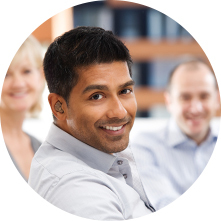 We offer a 60 day trial, which will allow you to see how your hearing aid fit your needs and lifestyle. How do I care for hearing aids? 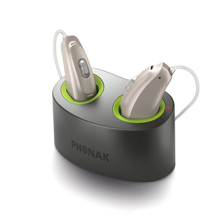 Hearing aids can be battery powered or rechargeable. You will need either a ready supply of batteries or a charging station. You should also have earwax filters to prevent a wax buildup, and a dryer box to remove excess moisture from humidity and sweat. Inspections and maintenance should be done quarterly to increase the lifespan of your device. There are some models that are water resistant, and some that are waterproof. 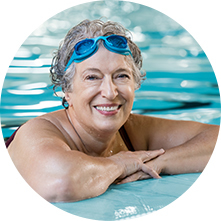 If you have a lifestyle that includes regular swimming or water sports, let us know at your appointment and we can help choose the right hearing aid for you. The costs of a hearing aid vary. The more needs that you may have, the higher the price tag may be. By clearly identifying your needs, we can help find the right hearing aid for you and your budget. We also offer financing options with approved credit.